Mason & Hamlin Factory Tour - July 14! Yes, the tour of the Mason & Hamlin Piano Factory is on! Let me know a.s.a.p. if you would like to join us. There is no cost to you (for the tour). This is your chance to see how a top notch piano is built, and then you get to play some newly minted Mason & Hamlin pianos! The tour is fascinating and educational (but fun). And I've found out Thursdays are the day Boaz Kirschenbaum does voicing at Mason & Hamlin... "Thursday is my day there (I work there weekly) so if you want to see voicing in process it's a great day to visit". A nice added treat for anyone joining us for the tour. If you aren't familiar with what "voicing a piano" means here is your chance to learn. 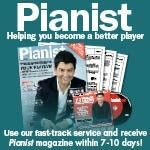 Email me at frank@pianoworld.com or post a reply to the thread listed below. The thread contains lots of details and some pictures. My apologies that this issue is a little thin on content. This time of the year is often slow/quiet. I did include some new items, and a few previous ones you may have missed that I thought were worth keeping in for this issue. The EPP 2016 party starts in a few days! 2016 is in ... insert drum roll .... Milan, Italy! 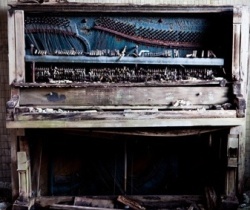 I am working on a complete redesign of the Piano World web site. Right now it's sort of in limbo as I work behind the scenes to create a completely new and better site. I will unveil a sneak peek at the new design in a few weeks. It should be much better looking, easier to navigate and automatically offer a mobile version along with a host of new features and soon, more content and new categories. And no, I'm not changing the forums, at least not yet. I would consider moving the forums to a new platform if I could find one that was worth the effort, but it would have to be able to import all the current content, including all 2,500,000+ posts. When it's a piano with a PianoDisc ProRecord system installed! (note: the site is still a work in progress, I will be adding more to it soon). Ever wonder where people come from who are visit Piano World? I've pulled some stats from our Google Analytics. Here is a list of all 235 places, including how many sessions came from each. 100+ Year Old Reed Organ - Amazing Sounds! Yes, I'm the Frank. Keep in mind up until very recently I had somewhat of a fear of cows. 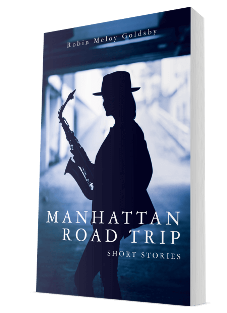 Our good friend and long time forums member Robin Meloy Goldsby has a new book out, Manhattan Road Trip. If you've read any of Robin's books you already know what a talented writer she is. If you haven't, this is a good one to start with, but I can tell you from experience you really should read the others too. Robin will be joining us at the Piano Party in Milan Italy July 2nd! Celtic harpist Maeve Gilchrist will be playing at the Parsonsfield Seminary in Parsonsfield, Maine August 1, 2016. I was fortunate to have attended the festival in 1969 when it was called the Newport Jazz Festival. What a great way to see and hear top musicians. Love the venues (Newport mansions). Kathy and I hope to take in some of the shows in this year, maybe we will see you there.